Often imitated but never matched, the Strat is a classic American guitar design. Why buy a no-name knock-off when Squier offers a real Stratocaster, designed and backed by Fender? From its look and feel, to the quality of its components, these are guitars that value-conscious musicians have been waiting for! 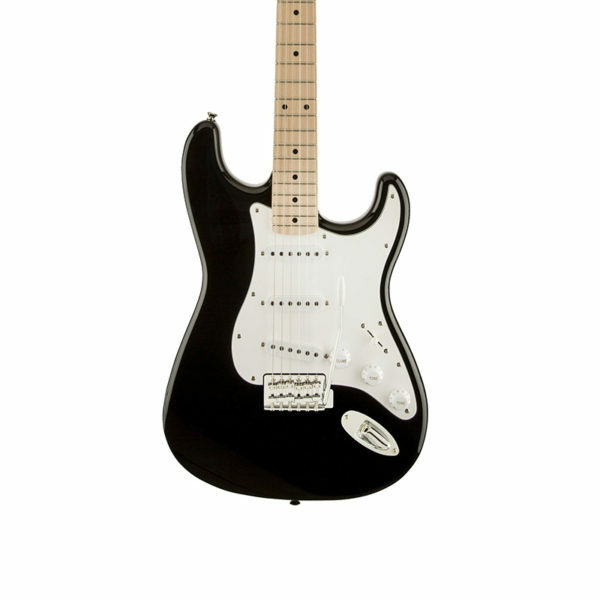 The Squier Affinity Stratocaster plays great with a traditional vibe and modern feel. Recently upgraded throughout, these classics boast player-friendly features like the 22-fret fingerboard and a slimmer neck for easier playing and choke-free bends. Plus, the Squier Affinity Stratocaster has Alnico single-coil pickups! The Affinity Strat’s die-cast tuners are lifetime-lubricated for years of trouble-free service and tuning stability. A new twin-pivot bridge with satin-anodized saddles provides smooth tremolo action. More than just a great first guitar, the Squier Affinity Stratocaster is a great Fender guitar!